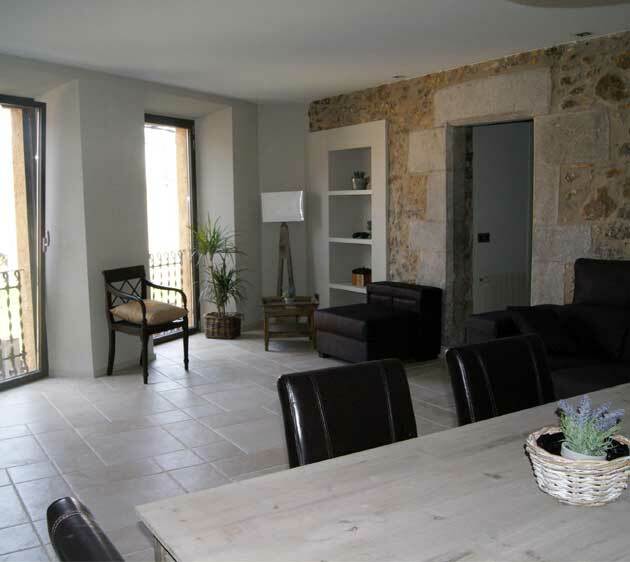 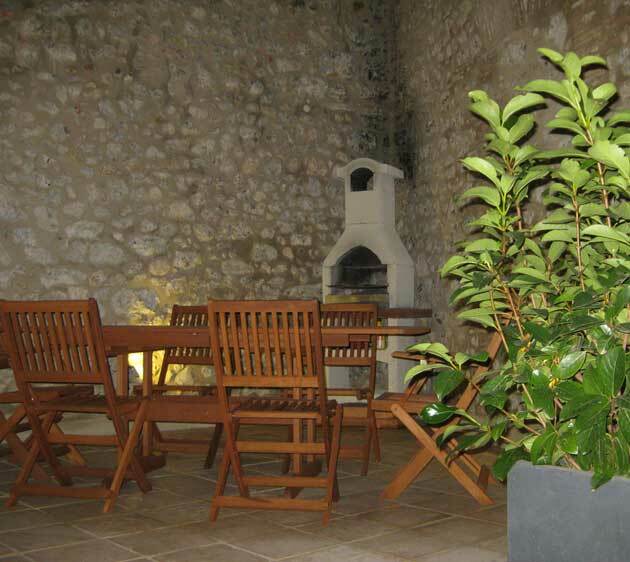 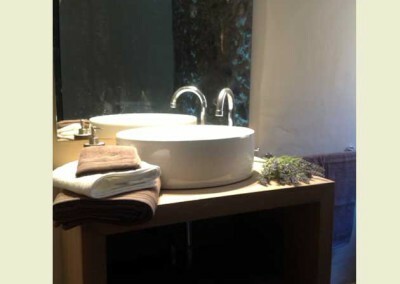 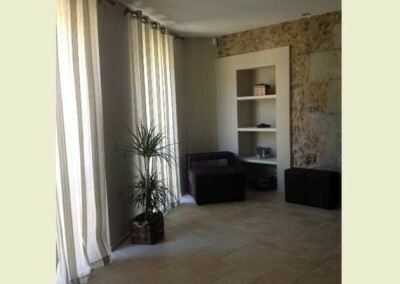 La Casa dels Avis, with 120 m2 plus the terrace, is located on the first floor of the building. 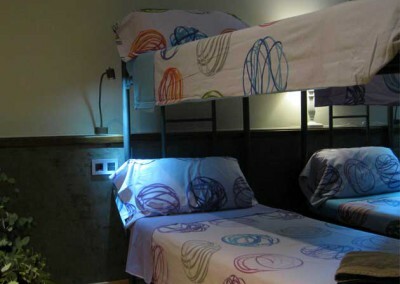 It can accommodate 8 people in three bedrooms. 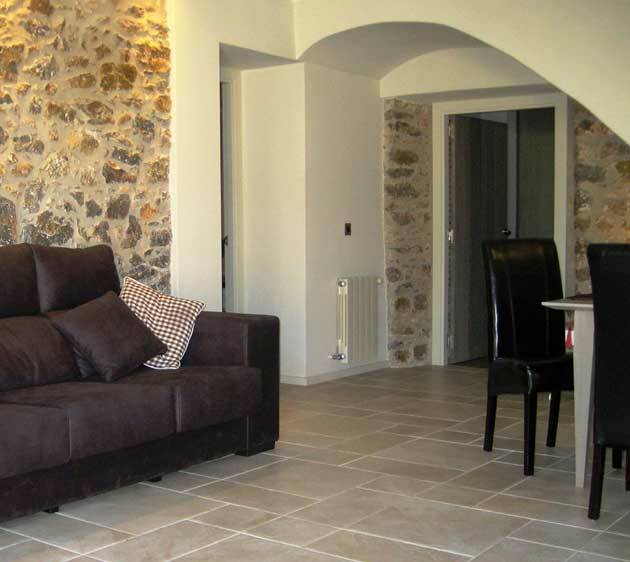 The original stone and the rustic finishing give it a special charm. 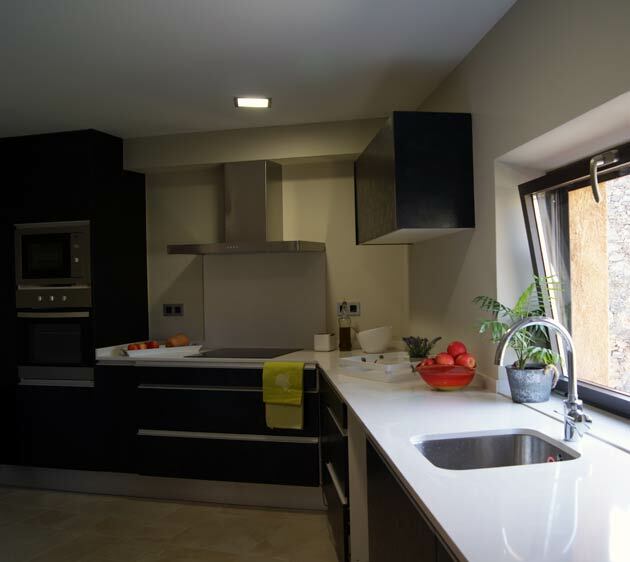 It’s a very bright house. 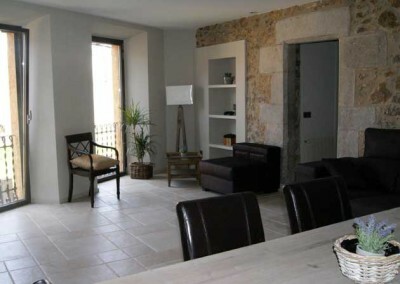 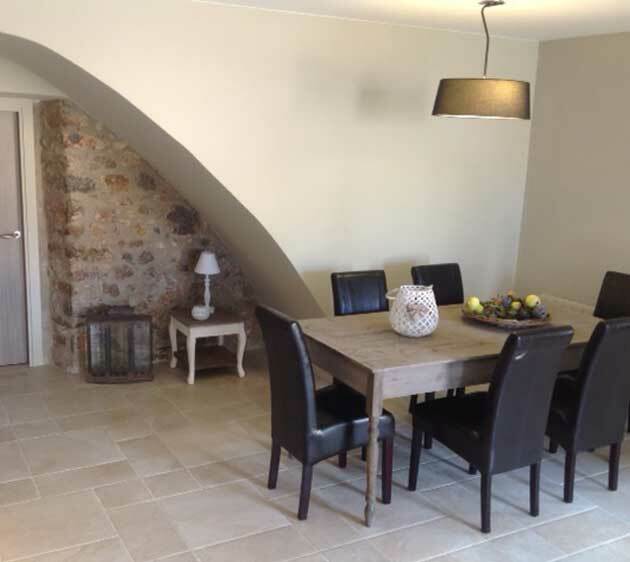 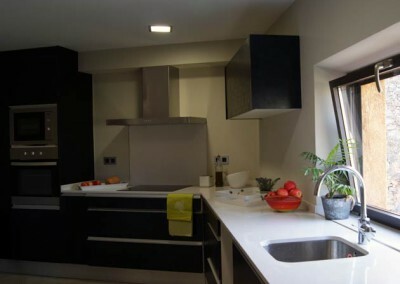 At the entrance we find a modern and wide kitchen, open to the dining/living room of about 30m2. 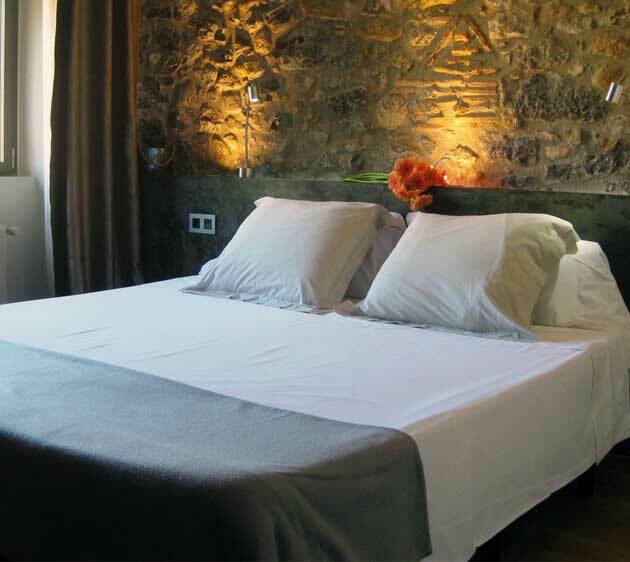 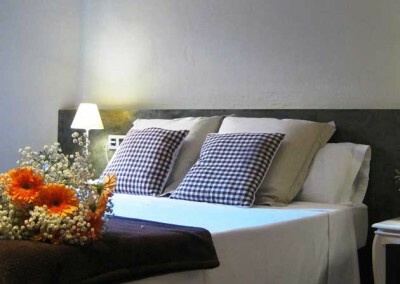 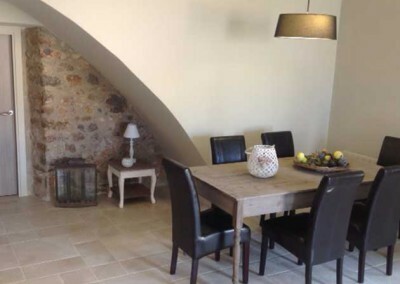 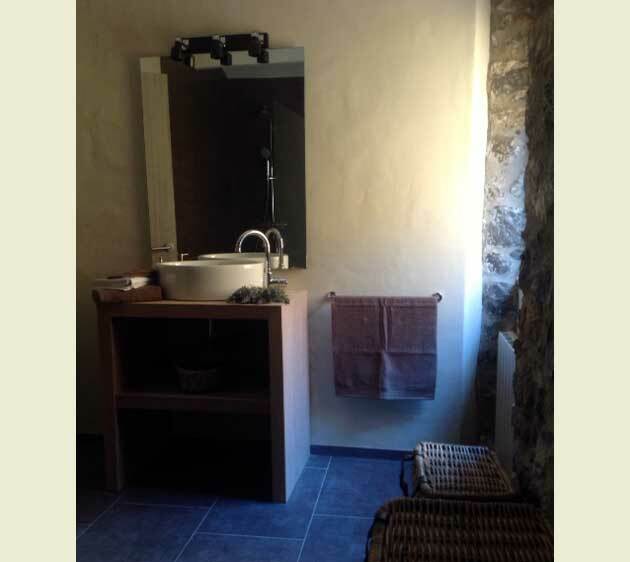 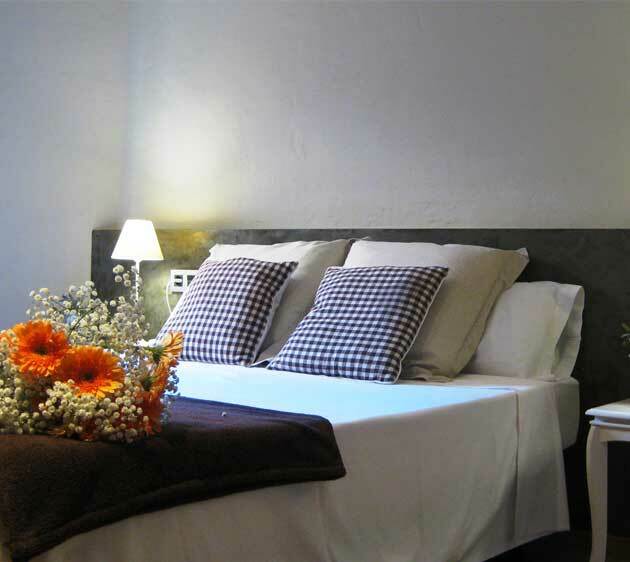 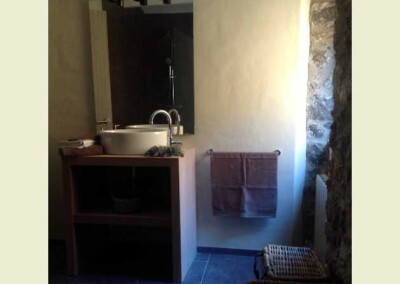 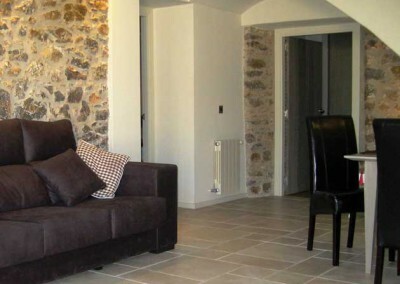 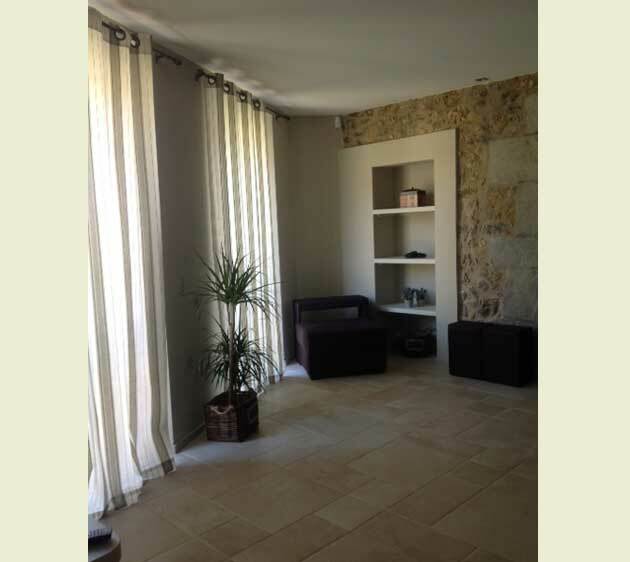 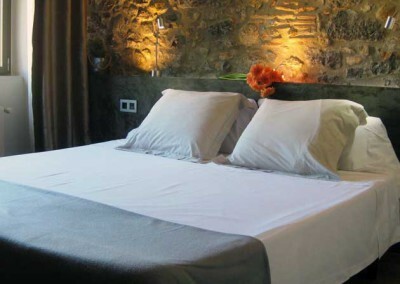 On the left of the living room, we find a double bedroom with king size bed of 180 cm, and with a warm stone wall. 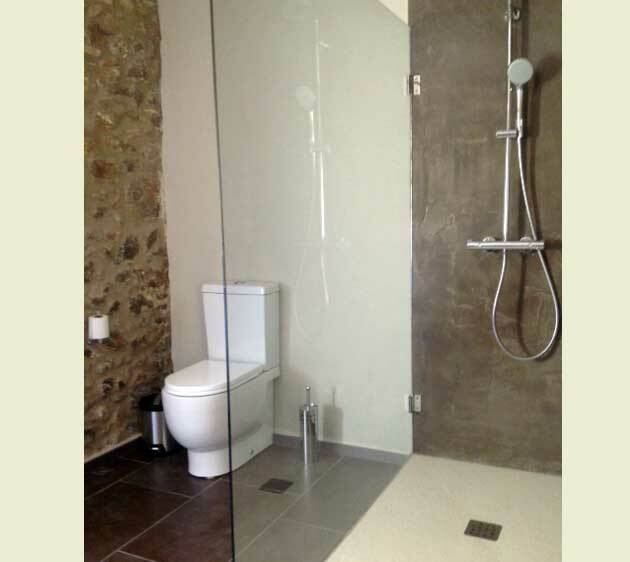 Next to this bedroom, there is a big bathroom with shower. 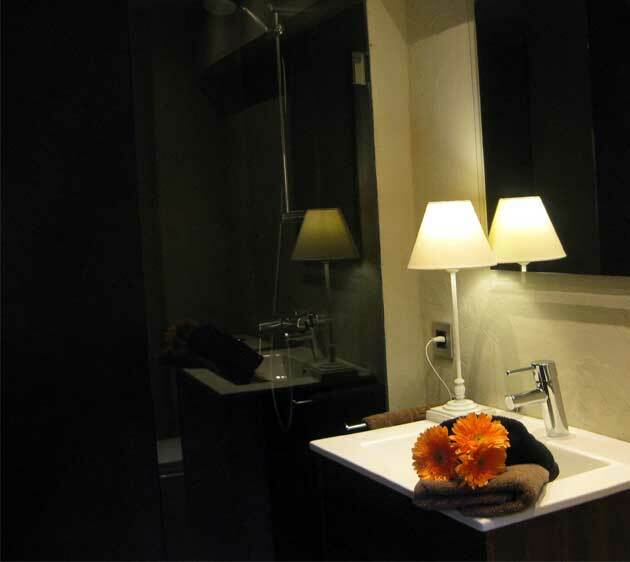 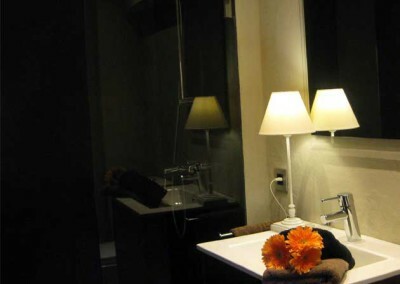 On the right of the dining room, there is another double bedroom, with king size bed of 160 cm, and with bathroom inside. 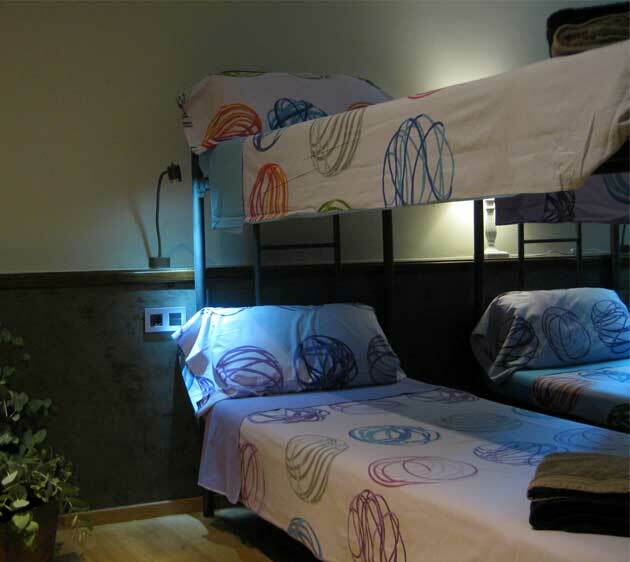 Next, there is a wide quadruple bedroom, with bunk beds. 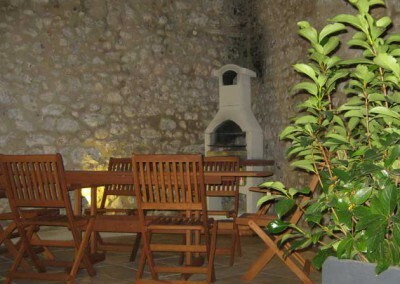 This rural house in la Costa Brava has its own terrace with barbecue.